A mother is a person who takes all the pain to bring us in this world. The responsibility which she takes up even before her child’s birth becomes a lifetime thing. Our mother is the one who understood us when we did not learn to speak and even as grownups she understands us even before we say something. Our desires, our wishes, our pains or our dilemma, nothing remains hidden from her. She is the one who knows us better than we know ourselves as she can find our deepest thoughts. If we believe in mind readers, we know that it is none but our moms. When we grow up, our studies or career might compel us to stay away from home and our mother but even in those times, she is there for us always! We might forget to talk to her in the hustle bustle of our lives but she makes sure that she hears from us regularly, no matter how busy she is. We are her world. 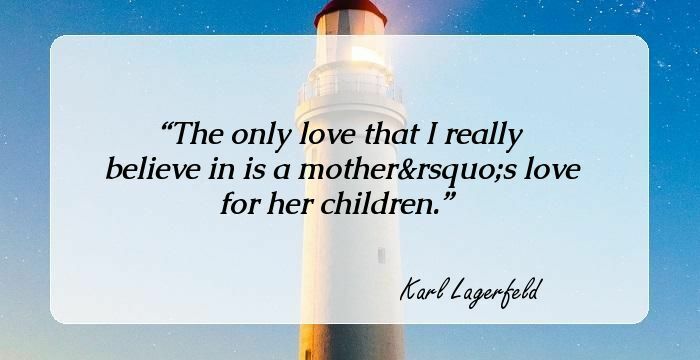 Some blessed souls have said beautiful things about their mothers and herein, we bring a collection those quotes. 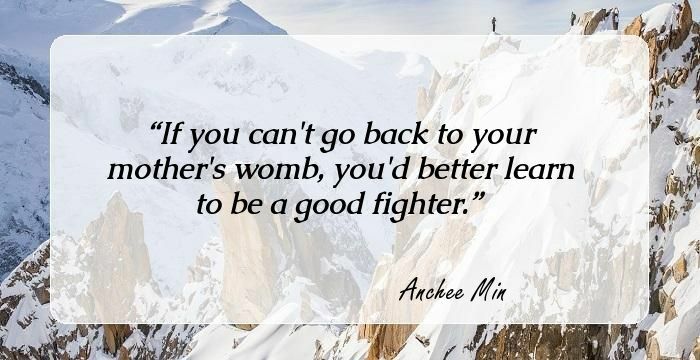 If you can't go back to your mother's womb, you'd better learn to be a good fighter. But kids don't stay with you if you do it right. It's the one job where, the better you are, the more surely you won't be needed in the long run. My mother was the most beautiful woman I ever saw. All I am I owe to my mother. I attribute my success in life to the moral, intellectual and physical education I received from her. What's your heart telling you to do? I don't know.' Maybe, you're trying too hard to hear it. Children are knives, my mother once said. They don't mean to, but they cut. And yet we cling to them, don't we, we clasp them until the blood flows. I don't know what it is about food your mother makes for you, especially when it's something that anyone can make - pancakes, meat loaf, tuna salad - but it carries a certain taste of memory. My mom smiled at me. Her smile kind of hugged me. I like it when my mother smiles. And I especially like it when I make her smile. Art is the child of nature in whom we trace the features of the mothers face. A mother's body remembers her babies-the folds of soft flesh, the softly furred scalp against her nose. Each child has it's own entreaties to body and soul. I love you every day. And now I will miss you every day. My mother said the cure for thinking too much about yourself was helping somebody who was worse off than you. You are evidence of your mother's strength, especially if you are a rebellious knucklehead and regardless she has always maintained her sanity. He didn't realize that love as powerful as your mother's for you leaves its own mark. By day the banished sun circles the earth like a grieving mother with a lamp. Fathers. Mothers. With all their caring and attention. They will f--- you up, every time. I loved my mother too,' I said. 'I still do. That's the thing - it never goes away, even if the person does. Maybe it's just a daughter's job to piss off her mother. You realize that you habitually thought of Mom when something in your life was not going well, because when you thought of her it was as though something got back on track, and you felt re-energized. Turn off the light," she says as she walks away, creating a small woosh that smells sweet and chemical. It makes me sad because it's the smell she makes when she's leaving. Some ghosts are so quiet you would hardly know they were there. She wanted to eat my heart and be lost in the desert with what she'd done, she wanted to fall on her knees and give birth from it, she wanted to hurt me as only a child can be hurt by its mother. Behind all your stories is always your mother's story. Because hers is where yours begin. I ask you, what good is a big picture window and the lavish appointments and a priceless decor in a home if there is no mother there? I couldn't imagine owning beauty like my mothers. I wouldn't dare. My dad had limitations. That's what my good-hearted mom always told us. He had limitations, but he meant no harm. It was kind of her to say, but he did do harm. There is something about losing your mother that is permanent and inexpressable - a wound that will never quite heal. You're the kind of man my mother warned me about. Sometimes being a good mother gets in the way of being a good person. 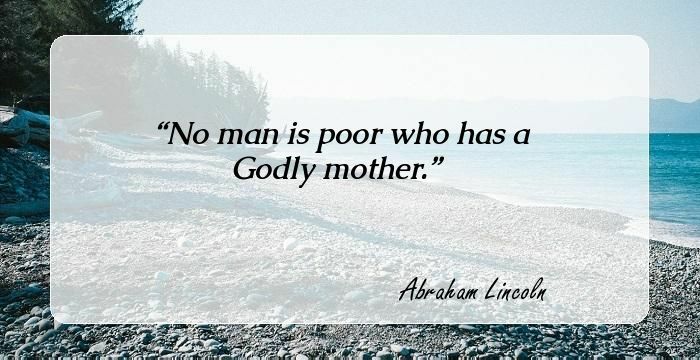 God know that a mother need fortitude and courage and tolerance and flexibility and patience and firmness and nearly every other brave aspect of the human soul. One of the best and the most painful things about time traveling has been the opportunity to see my mother alive. I went to bed feeling melancholy, wishing I could have poured out all my fears and insecurities to my mom. Wasn't that what normal mothers and daughters did? My mother is pure radiance. she is the sun i can touch and kiss and hold without getting burnt. My mother's life was way too heavy for me. On this Mother's Day and every day before and after, I thank you God for the precious gift of my three children. I love them unconditionally. [Everyone needs] a woman who'll listen, take your side, tell the truth - or not, as you need it. A woman you can count on, no matter what, and who'll love you no matter how much you screw up. Without you there would be no me. I am everything reflected in your eyes. I am everything approved by your smile. I am everything born of your guidance. I am me only because of you. My mother believed in all superstitions, plus she made some up. We only have babies when we're young enough not to know how grim life turns out. You can't love your mother or father if you don't also have the capacity to grieve their deaths and, perhaps even more so, grieve parts of their lives. My mother belonged to that group of low IQ individuals who find everything alarming and believe that raising your voice is the most effective form of communication. What she did have, after raising two children, was the equivalent of a PhD in mothering and my undying respect. She also understood there was a hole in her heart where her son should be, that she was a wicked, selfish woman for wishing him back. Every time you drink a glass of milk or eat a piece of cheese, you harm a mother. Please go vegan. Think of your mother and smile for all of the good precious moments. Piece by piece, my mother is being stolen from me. Compassion is like mother giving love to her children. Mother's ways are higher than others, even when everyone rejects, mother accepts with her arms open and wide. A mother's hardest to forgive. Life is the fruit she longs to hand you Ripe on a plate. And while you live, Relentlessly she understands you. There is no one who takes care of us as lovingly as our mother does. She is our living God. You know who you belong to, Jack?" "Yeah." "Yourself." He's wrong, actually, I belong to Ma. You see mother, you had no life of your own. They have no idea. One has only a life of one's own. Maybe a mother wasn't what she seemed to be on the surface. How could a mother who boils water for pasta leave two little girls behind? Mom?" Mother turned to Grandmother. "What?" "She's going to lunch with her kidnapper!" "Take a picture for me," Grandma said. Never argue with a mother who's scolding her child. I love God, Jesus Christ, my three children, mother, father, brother, sisters, family in general, my pets, my students, and true friends. Out loud I said I had two children. Silently I said three. I always felt like apologizing to her for that. In half hour my mother has managed to give me what my father couldn't: my past. But a mother-son relationship is not a coequal one, is it? He is lonely with only you just as you are lonely with only him. Mother's ways are higher than others, even when everyone rejects, mother accepts with her arms open and wide. Authority is just and faithful in all matters of promise-keeping; it is also considerate, and that is why a good mother is the best home-ruler. Captain Jibby looked at the door, clenched his teeth, and worked his face into a scowl so fierce you would think the door had insulted his mother - which, for the record, it had not. A mother is always a mother, since a mother is a biological fact, whilst a father is a movable feast. I want to stay curled and cosied and chocolated....forever in my mother's arms. He hesitated for a moment. Then he said softly, "I love you, Mother." He took my hand and kissed it, and folded my fingers round the stem of the rose. He had stripped it of its thorns. I have no end of failings as a mother, but I have always followed the rules. She pondered the arrangements of the paintings on a wall like a writer pondered commas. A mother gives you a life, a mother-in-law gives you her life. Memory for most is a kind of afterlife; for my mother, it is another form of life. Seorang ibu akan selalu khawatir memikirkan anaknya, setiap hari selama hidupnya. My mother is my friend Who shares with me her bread All my hopelessness cured! Her company makes me secured! You loved me before seeing me; You love me in all my mistakes; You will love me for what I am. Gone was the reflexive need to see the worst in things. Before the tumors took her life, they gave her a few moments of grace. Tell me what you'll do if you're captured by the coyotes... Well, that might work, but does your mother live near here? I wasn't put on this earth to be housekeeper to my own child or to anyone else for that matter.